Before the Optima Mid there were several attempts by manufacturers and individuals to convert the Optima to mid motor, but I’ve yet to see a solution, from back then, that addresses all issues that comes with this concept. They either lack guards for the chain (leaving the drive train exposed to dirt), use the spur gear as a simple counter gear (giving some weird gear ratios), or like this GPM solution that has the motor mounted very high, giving a very high center of gravity. Today, with easy access to 3D design software, 3D printers and CNC-routers, there are a few people that actually have made solutions that fixes all these issues, but I won’t get into those, as I’m all about vintage stuff. An original GPM Optima, owned by Mini. 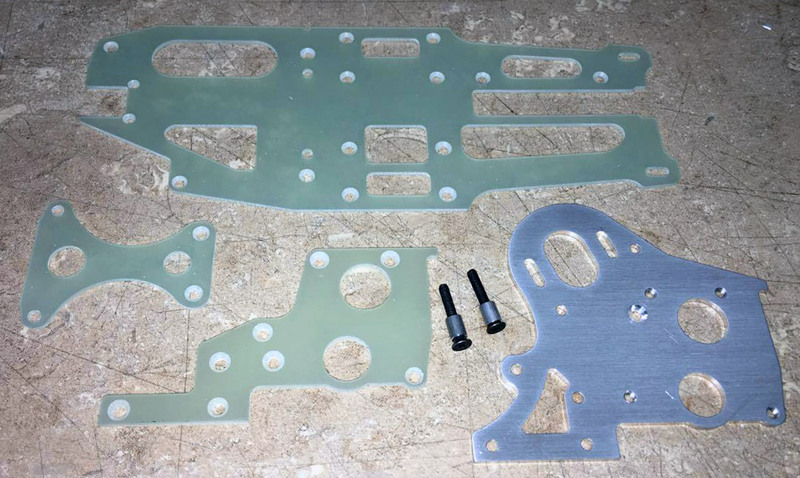 The GPM-style kit used on this build was designed by Jeff Malar of Factory Works, and consists of a CNC machined aluminum motor plate, and some other G10 fiber glass parts. It’s modeled from pictures of an original GPM kit, posted by Mini. 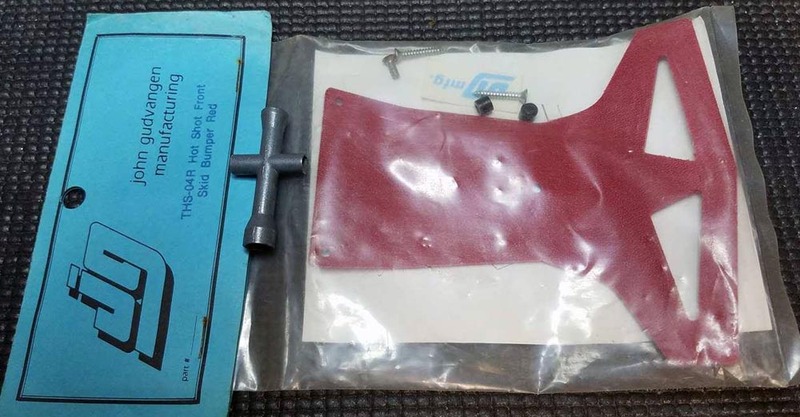 I’ve been in contact with GPM in Hong Kong, and their chief machinist did remember that kit, but unfortunately he was not able to find any of the old drawings or plans. On a side note, I can say that they actually offered me a job and sent me a comprehensive questionnaire to answer! I have not returned it. 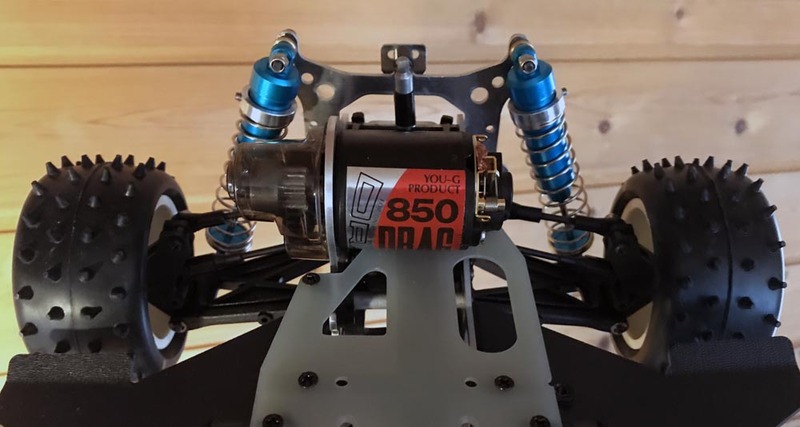 The GPM-style mid motor kit made by Jeff Malar. 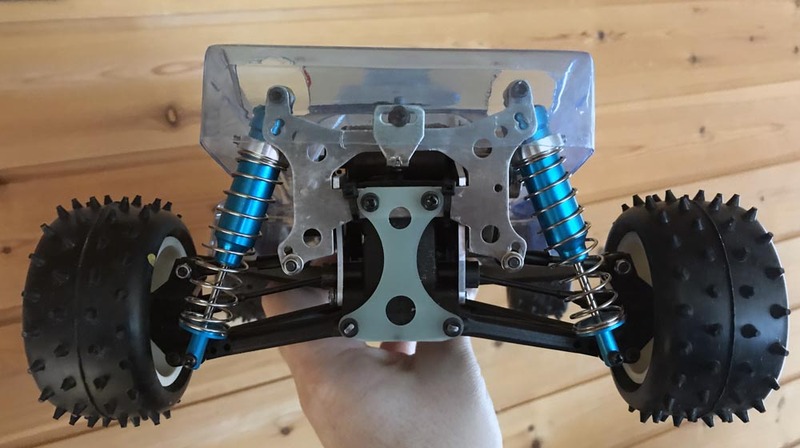 I decided to use the motor plate, the rear shock tower brace and the top chassis plate from Jeff’s kit, and used a standard aluminum left rear plate, that I cut to fit with some Dremel tools. Other than that, a lot of vintage hop-ups were used, and the body is from the Marui Shogun. The Shogun is, in my opinion, the best looking of the Marui bodies, and has that Kogawa-esque look to it, that makes it go very well with Optimas. The Marui Shogun, like the Ninja and the Samurai, was designed by Mr. Kurihara and Mr. Nakamura of the Proto design company. 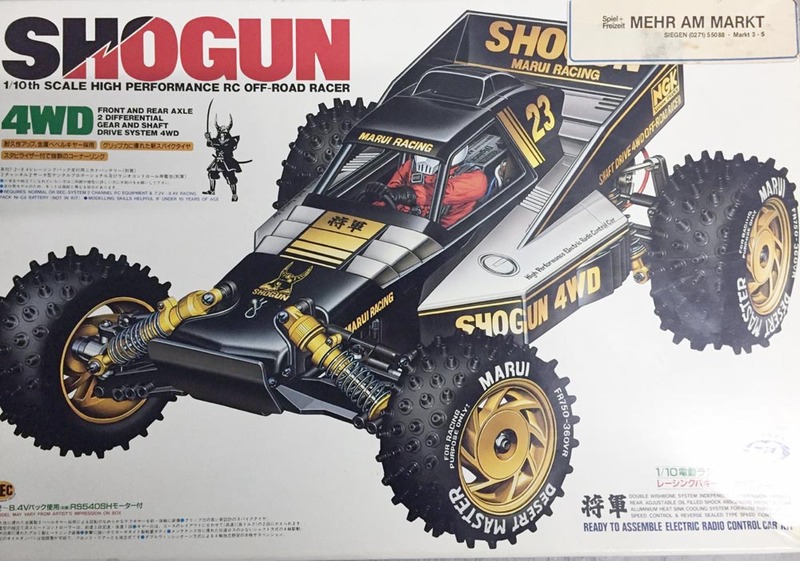 I have always wanted a Marui Shogun, but I haven’t been lucky enough to find one, yet. The body is available as a re-pop from Team Bluegroove in Canada. A couple of small modifications had to be made to make it fit, like cutting holes for the rear shocks and the motor cover. I still need to fine-cut those holes, to make them look good. I initially had plans to cut it just behind the canopy, and use a large aluminum Dirt Burners! wing, but I actually liked it the way it turned out. I may still add a wing, though…. 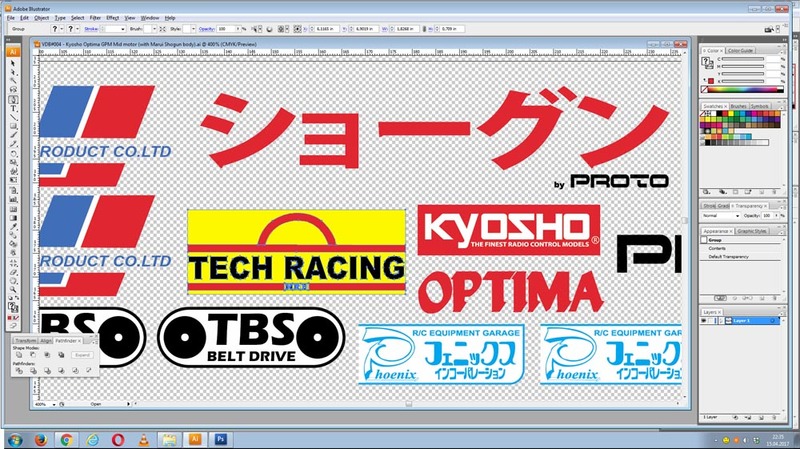 The body will be painted white, and most of the decals will be red/white/blue, as those are the GPM colours. There are a few You-G parts on this build as well, and those are the You-G colours, too. Let’s go through the other parts of this build. Starting with the drive train, it uses standard Optima gear boxes, but the chain drive has been dropped in favor of a TBS belt drive kit. The TBS kit uses MXL belts that are finer pitched than the XL belts used on the official Option House belt kit. For some weird reason the belt that came with it was much too long to be used, and that’s really strange as I actually took it from an old Optima I bought earlier. But anyway, that made me go belt hunting. The first one I bought was a B310MXL that was still too long. I then tried a B300MXL, but that was too short. 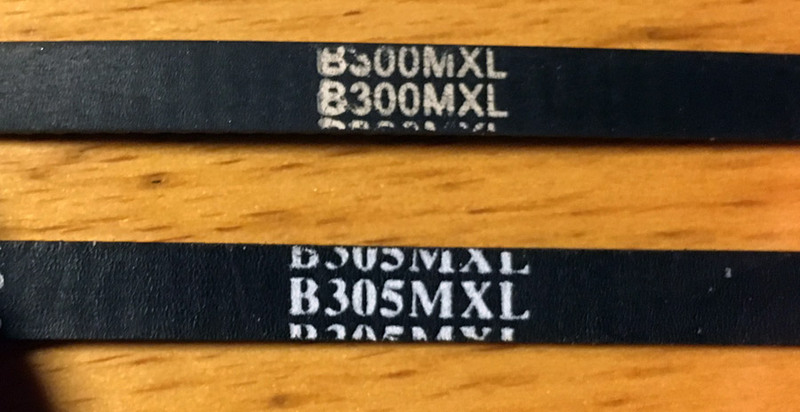 The third belt I bought was a B305MXL, and that one fit perfectly. The gears are standard Turbo Optima with the OT-74 “limiter gear” and an Option House “racing clutch”. In the front diff housing I’ve installed a Tech Racing “active limiter” one-way unit. At the rear I’ve used a pair of telescoping Phoenix UJ’s, and at the front there are Option House UJ’s. I was planning to use Phoenix all around, but the “UJ-knots” were too large to fit at the front. Those UJ’s were originally made for the Ultima. 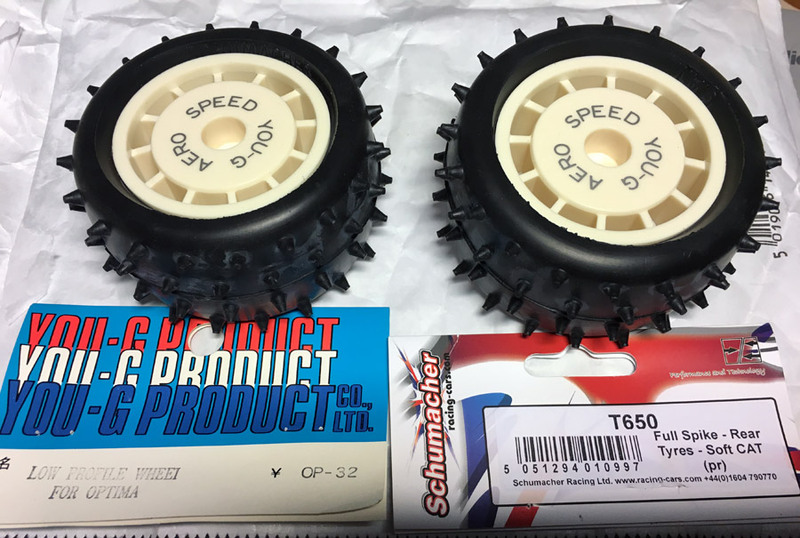 The wheels are the You-G “Aero Speed” wheels with Schumacher tires from the original CAT. You-G wheels with Schumacher CAT tires. 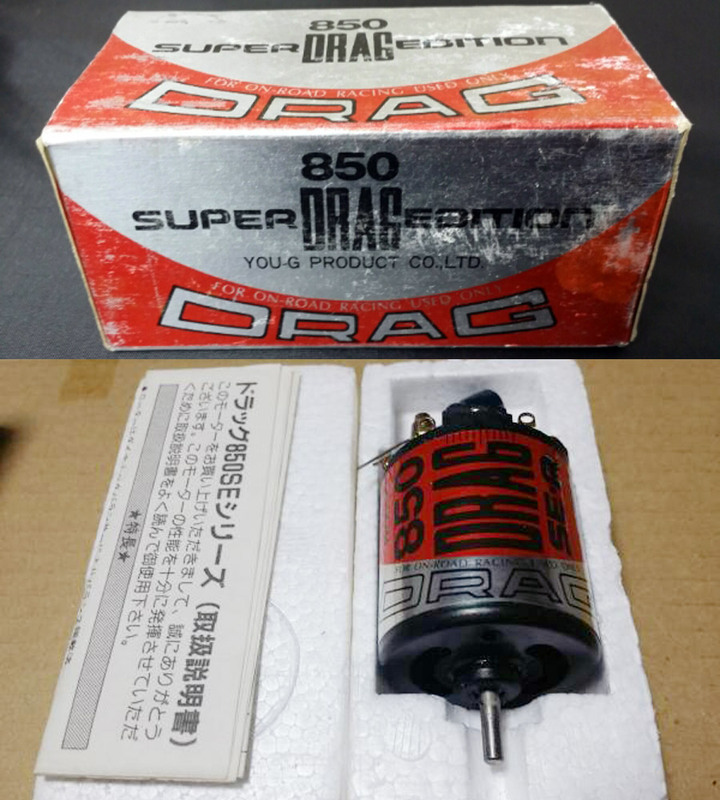 The motor is also a You-G unit, the 850 DRAG SE-R. It’s brand new, but the instructions that came with it doesn’t say anything about turns or RPM’s. The shocks I’ve used are the beautiful blue anodized You-G shocks. 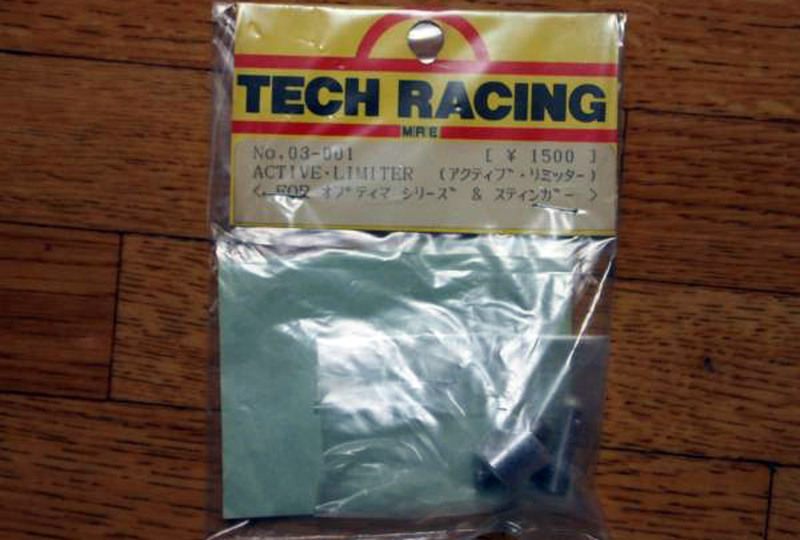 These particular shocks are originally for the Tamiya Bigwig, but it’s mainly the fitting hardware that are supplied that differs the various versions. 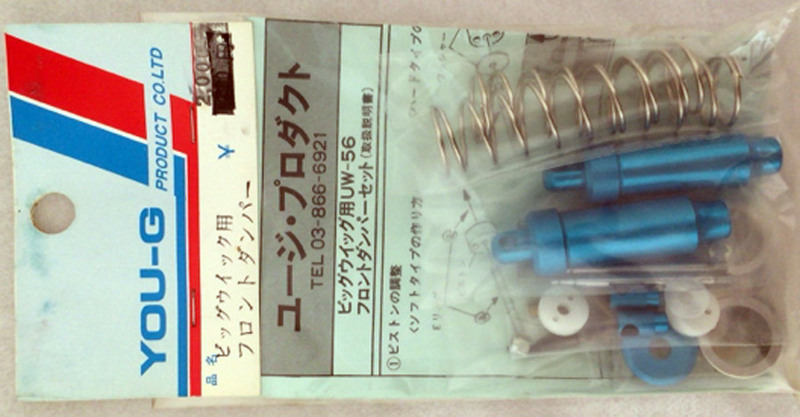 These are the front shocks. 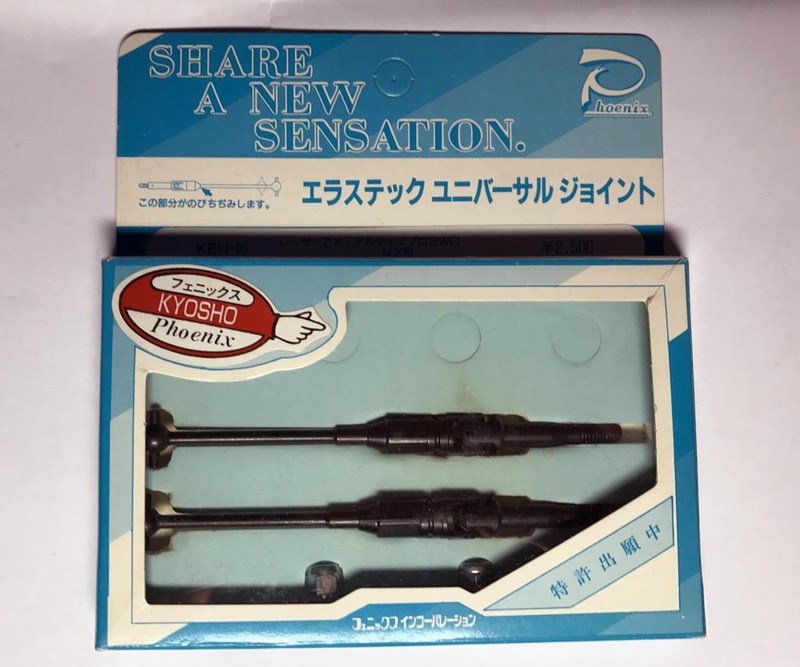 The rear shocks are identical, only longer. In the pictures the build has black kydex bumper and nerf protectors from JG mfg. 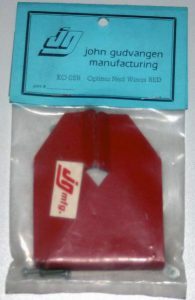 (John Gudvangen Manufacturing), but I’m waiting on some red ones to replace them. 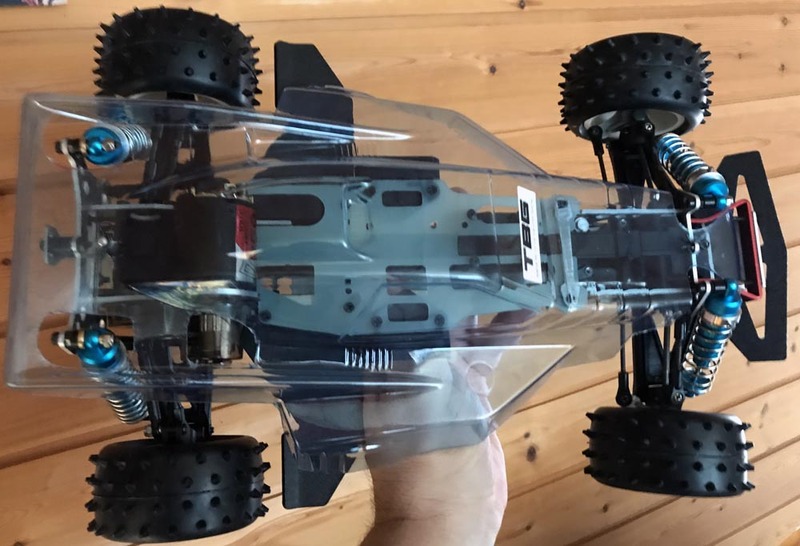 I couldn’t actually find a red JG bumper for the Optima, but my friend Mike had one for the Tamiya Hotshot that I will adapt. It should be quite easy as long as I have the black JG Optima bumper to use as a template. Kydex is very easy to cut, and could also easily be bent, just by putting it in hot water for a few minutes. Being a Norwegian I find this JG stuff rather cool, as Gudvangen is a place in Norway, and Mr. Gudvangen must most definately have Norwegian ancestors, considering his name…..
Like on my previous builds, I have drawn all decals myself in Adobe Illustrator. These are not scans or logos found on the web, but rather redrawn by hand as vector graphics. 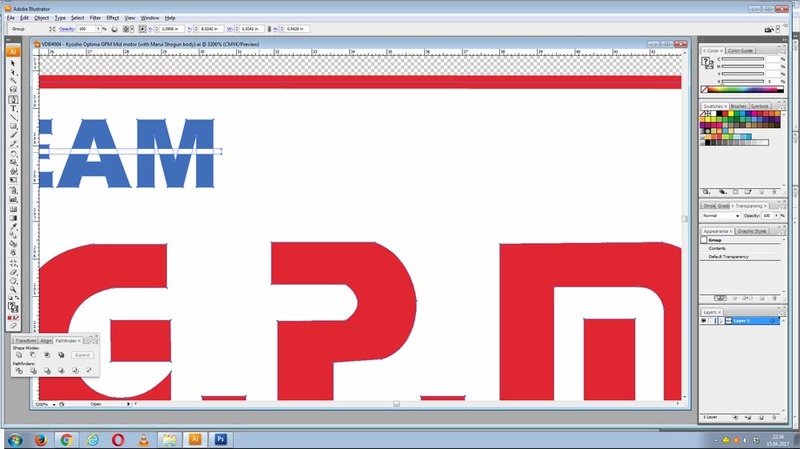 Vector graphics, as opposed to (jpg, bmp, tiff, png) bitmap graphics, can be scaled without losing any detail, and is the format needed to be printed by MCI Racing. I still have some details to fix, before sending the file to Nathaneal Ellis for printing. Here are some pictures of the build, so far. 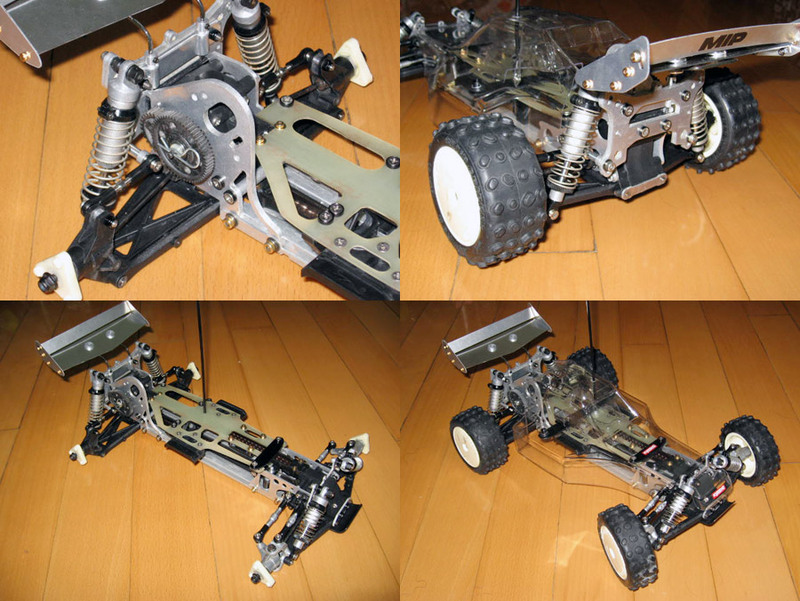 I will make a part 2 when the car is finised. The front with the You-G shocks and a Hot Trick bumper support. The rear with the relocated shock tower. 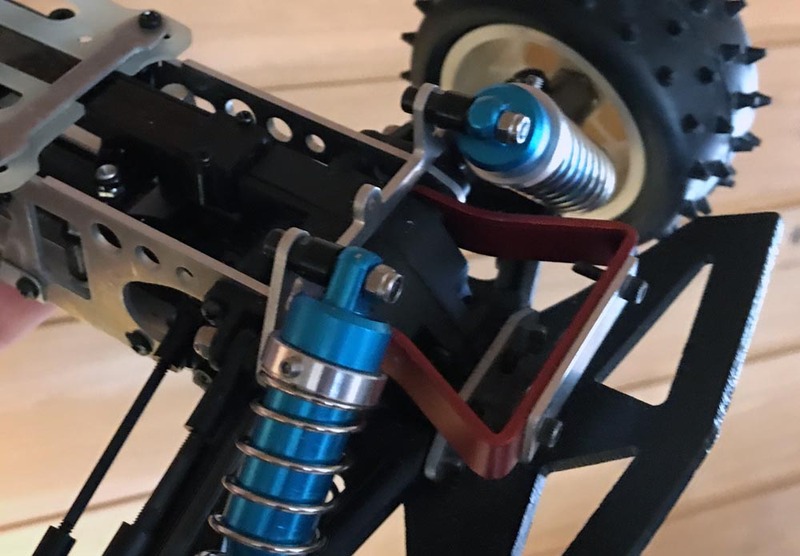 The A-arms have been flipped so the shock mounts can be used. The high mounted mid motor. 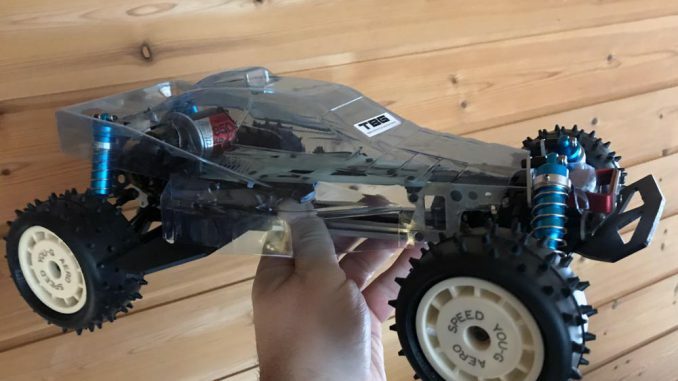 Great work there Tom, that thing looks beast! Thanks! Yes it looks cool, but I’m not sure how well it drives with the motor virtually on the roof, lol! Hey Tom! Did you finish painting the body? Would really like to see it painted! Hi! Still on the “to do” list…. That list must be pretty long! Yes, the painting to-do list is long for two reasons. 1. It’s winter here for nine months a year, so the temperatures are rarely favourable for painting.